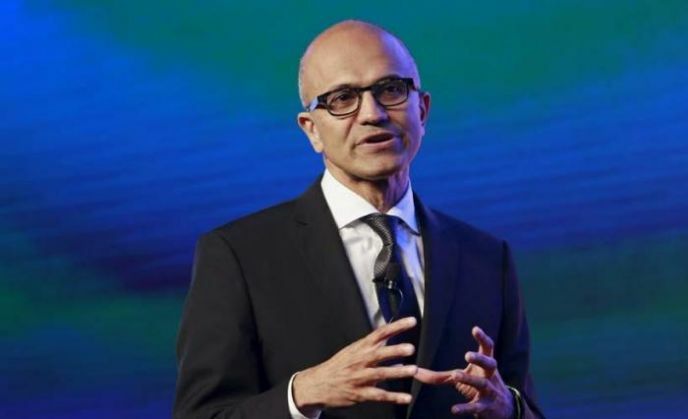 Microsoft CEO Satya Nadella is on a four-day visit to India starting today. He visited Hyderabad's T-Hub earlier this day and later met Andhra Pradesh CM Chandrababu Naidu. T-Hub is a technology incubator with collaborative efforts from the Indian School of Business (ISB), the International Institute of Information Technology (IIIT-Hyderabad) and NALSAR University of Law, besides various other organisations. 1) The technology giant signed an MoU with the Andhra Pradesh government in deployment and use of information and communications technologies to offer better citizen services in the state. According to the MoU, the state government will use technical knowledge from Microsoft India, which will support building of up to three proof-of-concept (POC) solutions to apply Microsoft Azure Machine Learning and Advanced Visualisation in education, agriculture and e-citizen services, an official release said. 2) Nadella has assured the state government of total cooperation in utilisation of cloud data for improving citizen services. 3) Microsoft India will be setting up a Centre of Excellence in Visakhapatnam as part of its digital inclusion drive in the state, besides sharpening focus on raising productivity. 4) These POC solutions will be built and deployed to address specific problems within each of the fields to achieve better outcome for the state. It would use the lab method for data gathering, analysis, predictive analysis and policy planning. 5) Microsoft India said it will continue to engage and train the government's key IT executives on Microsoft technologies such as Cloud, Mobility and appropriate Microsoft Technology stack. 6) The company will also deliver an exclusive workshop to the government's key administrative officers on improving productivity by using Microsoft technologies.